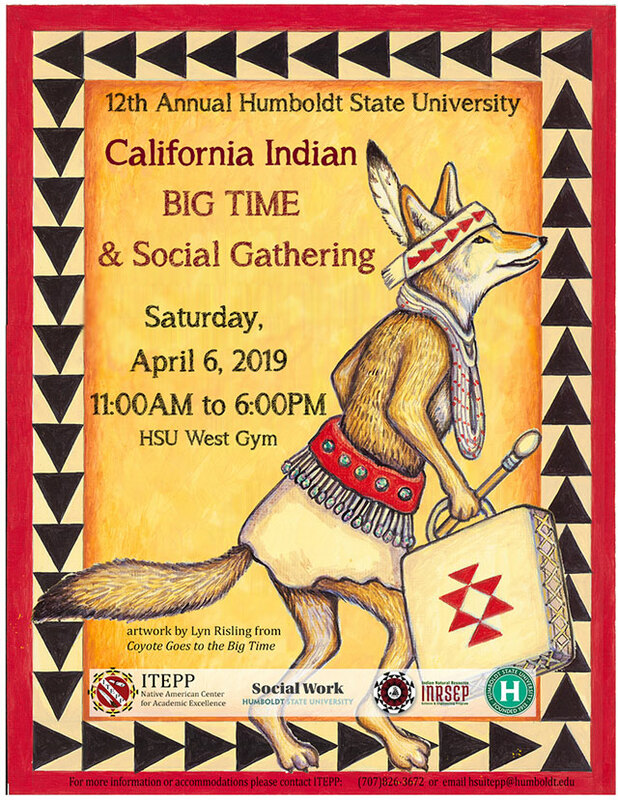 The community is invited to the 12th Annual California Big Time and Social Gathering, celebrating diverse California tribal cultures, on Saturday, April 6 from 11 a.m.-6 p.m. in HSU's West Gym. The Big Time provides an opportunity to share California Indian traditions, cultures, and history with HSU students, staff and faculty, as well as the community at large. This event, initiated by Native students, provides them with an opportunity for cultural sharing and education, while at the same time highlighting the campus as a university for prospective students. There will be a variety of cultural presenters, an Indian Card Tournament, and vendors throughout the day from across the state, including HSU alumni. Together participants and guests will honor location of the HSU campus in the heart of Wiyot territory. It will provide an opportunity for community outreach, partnership with tribal nations, and embrace the diversity that tribal students, faculty, and staff bring to the university.